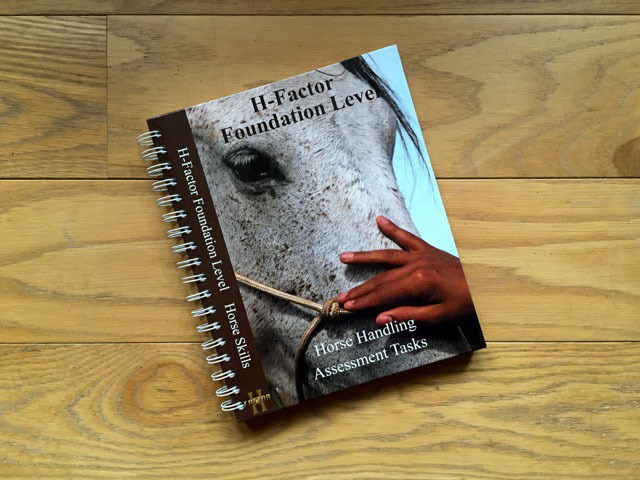 Through the H-Factor Home Study System or practical True Connection Courses, you can build a relationship with your horse that is based on love, trust and honour. You will receive the keys to connection, understanding, lightness and collection. True Connection is the basis for Harmony in Motion. 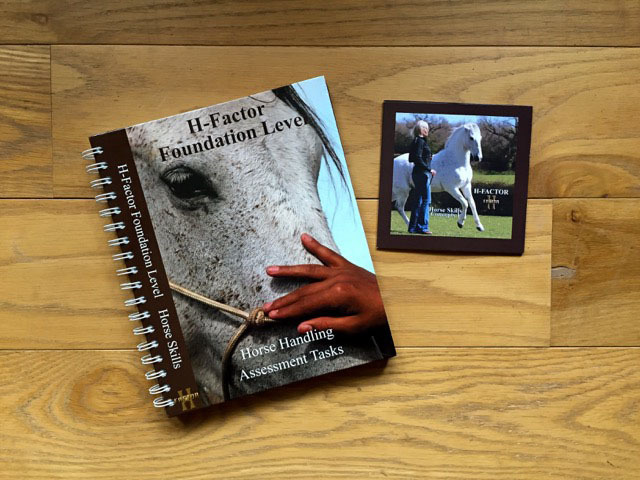 The H-Factor System (Horse-Factor System) is a complete theory and practical application programme that blends horsemanship skills and healing of the heart, with the goal of raising up leaders of all ages. 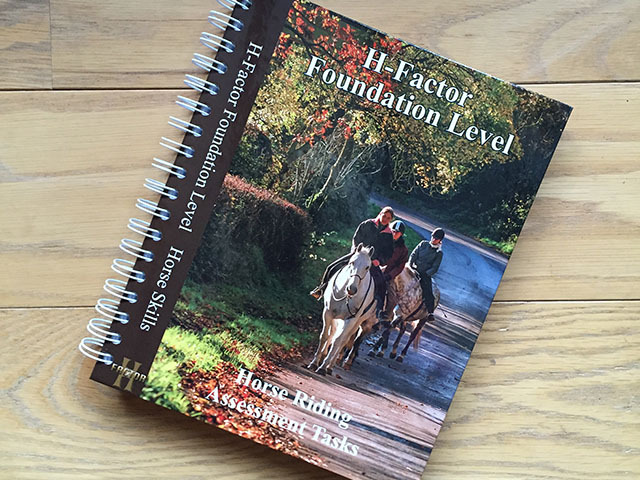 H-Factor System learning is designed to be visual and comprehensive. Each section complements the other. Materials can be studied in tandem or separately. 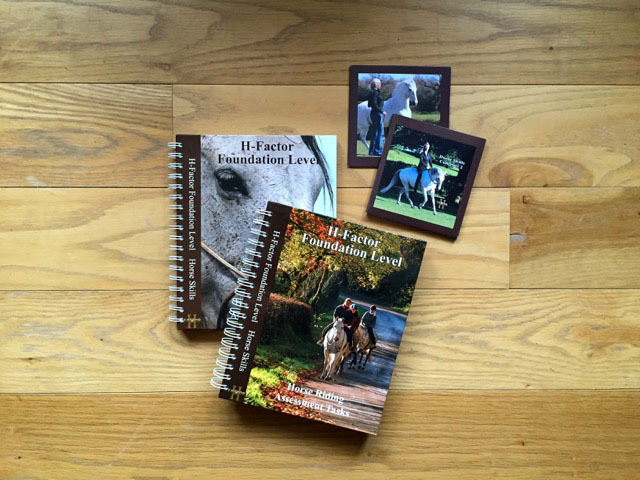 Each module in the Horse Skills section has its own descriptive task book and concepts DVDs clearly illustrating the skill set. 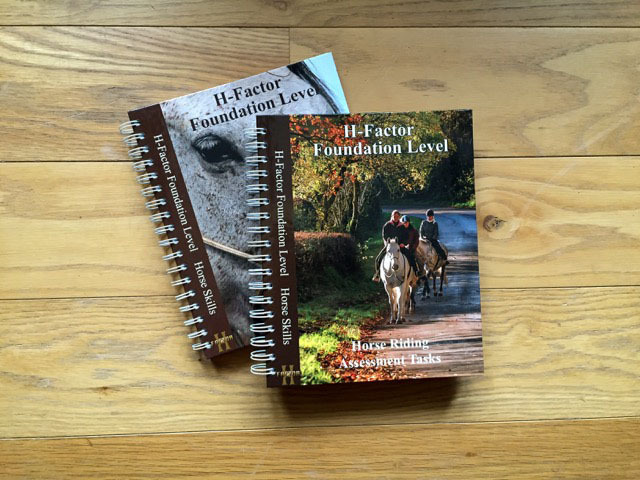 For more information about the H-Factor books and DVDs or to purchase an item, please click on the links below the images. In motion the horse is at his best when he finds a place of internal relaxation. A place without fear. Understand how to build a deep and true connection with your horse – a heart connection. Learn how to become a true leader for your horse. You need to be able to ride your horse in walk, trot and canter on a loose rein. You do not need any experience with liberty. 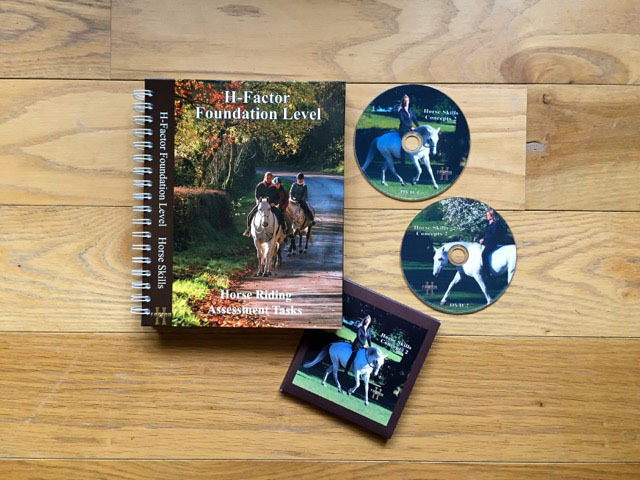 This course is concentrated on refining the communication learned in the True Connection Foundation course and going to a deeper level in the connection with your horse. Ingela will share how your thoughts affect the way your horse sees and perceives you, and will teach you how you can further develop your skills as a lead for your horse. You will learn how to communicate more clearly using thought and energy and how to offer your horse what he is looking for. You will discover how to become his place of peace. The focus is on relaxation and harmony in motion. 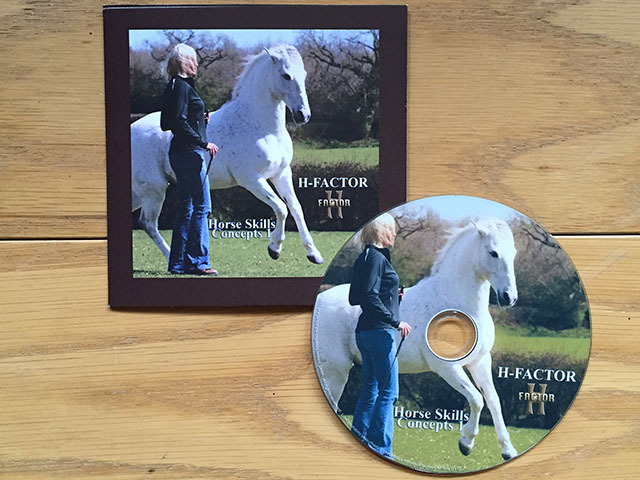 Ingela will explain the principles for building a strong connection at liberty and a relationship that is free of fear for both horse and human. You will be equipped with the keys to be fully connected with your horse over a distance and to communicate without lines and in open spaces. 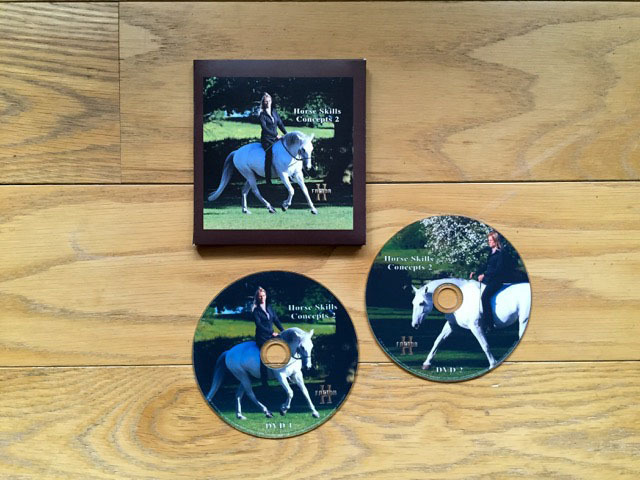 You will be able to take notes on a step by step liberty guide that starts at a standstill and builds up to canter circles, figures of eight, flying lead changes and more. The goal is for your horse to want to be with you. You will practice exercises to help your horse move with straightness on a circle, build power and engagement as well as increase relaxation and trust. The results are true connection, lightness and straightness. This course may also include long reining. The minimum requirement is having attended the True Connection Foundation Course either with a horse or as a spectator. The focus of this course is on applying the concepts and philosophy from the True Connection Foundation course to riding. You will learn how to move as one with your horse and to become a true lead for your horse when mounted. The goal is harmony in motion. Ingela equips her students to progress to a deeper level of connection and communication using ‘thought’ and ‘energy’ when riding and teaches a range of exercises to encourage suppleness, straightness, engagement and power. These begin with focusing on a soft, calm, relaxed horse that is willing and able to mirror the subtle changes in the rider’s body. Ingela will teach on the importance of relaxation when riding, because your horse will be most connected and capable when he is relaxed, happy, trusting and free from fear. You will learn how to help your horse reach relaxation in motion in all gaits and movements. The result is that your horse becomes soft in his mind and body and willingly focuses on your thoughts. The minimum requirement is having attended the True Connection Foundation Course either as a participant or a spectator.